Like other cosmetic surgery, facelift surgery can turn back the clock of your appearance in different ways. 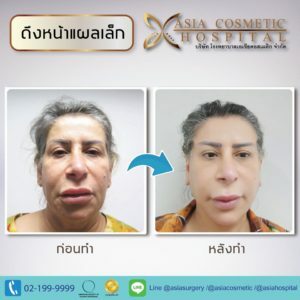 The following are the advantages of face lift surgery. The superficial musculo-aponeurotic system (SMAS) is the underlying structures of the face that tends to sag and weaken with age. The first thing to do is tighten and rearrange the underlying structure into a better configuration and then repair the loosen skin. In that way, there will be less tension on your skin and helps the results of your face lift to last much longer. In this case, the sagging skin will be carefully trimmed and tightened to restore a more vibrant, youthful, and natural look. But be careful not to overly tighten or it can lead to pulled appearance. A lower facelift creates more attractive and beautiful jawline contour and eliminate jowls and smoothing out the neck are. A mid facelift can help restore smoother look to the cheeks and lower eyelids. Liposuction can potentially be used on areas that have an excessively fleshy jowls and neck. Those are just the few advantages that facelift surgery that can brought to your life.